My name is Weaver John Hennessy. I was born on December 5, 1921 in Blissfied, N.B., the son of George Hennessy and Nora Weaver. I am the brother of George Hennessy, Lawrence Hennessy, Robert Hennessy, Annie ‘Hennessy’ Colford, Evelyn Hennessy, Noreen Hennessy and Margaret ‘Hennessy’ Tremblay. I married Jeannine Leger, and we have two children: David Hennessy and Jo-Anna Hennessy. On D-Day, Tuesday, June 6, 1944, I served as a gunner with the 3rd Anti-Aircraft Regiment stationed in Eyethorn, England. We had been sent to Eyethorn as a marshalling area for our regiment. We spent most of D-Day waterproofing our trucks and guns getting ready to land in France. I also spent part of D-Day using a quartermasters stores truck issuing supplies to the regiment. While men were landing on Juno Beach, we all knew that the invasion was on but we heard nothing from the front as to what exactly had happened. I was a gunner on a 40mm gun. We were to serve as air support for the 28th Field Battery who were firing 25 pounders. Our regiment boarded a ship in Southampton and sailed for France. Once there, we loaded off our equipment from the ship into a landing craft and went ashore. We landed on Juno Beach around June 15th, 1944 or so and were moved up to around Caen, France to act as support for the 28th Field Battery. My regiment eventually worked its way through France, Belgium, Holland and then into Germany. 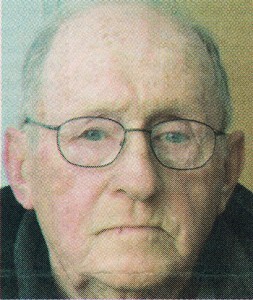 Mr. Weaver John Hennessy, of Howard Rd., passed away on Wednesday, December 9, 2009, at the Miramichi Hospital, at the age of 88.